Organic Rosemary Essential Oil, arginine, organic aloe and gentle botanical cleansers purify and rejuvenate extra dry, tired skin. Rebalance and rejuvenate. 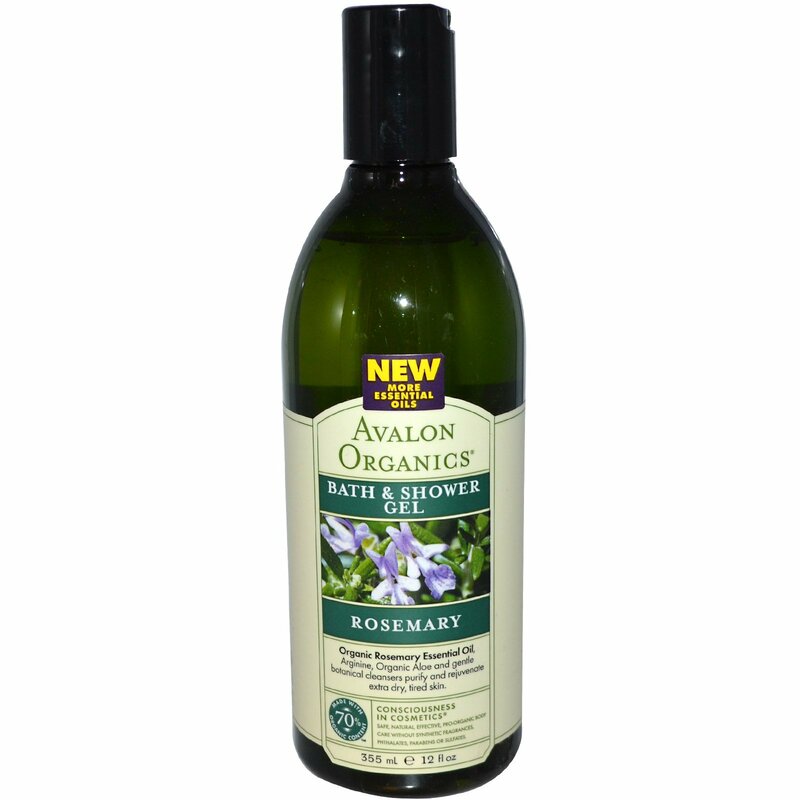 Nourishing botanicals and gentle cleansers purify and replenish extra dry skin while the revitalizing aroma of organically grown Rosemary refreshes the mind and body. Aqua (water), aloe barbadensis leaf juice¹, cocamidopropyl betaine, glycerin, sodium laurylglucosides hydroxypropylsulfonate, sodium cocoyl isethionate, stearic acid, sodium lauroyl sarcosinate, styrax benzoin resin extract, cedrus atlantica bark oil, citrus medica limonum (lemon) peel oil, copaifera officinalis (balsam copaiba) resin, coriandrum sativum (coriander) seed oil, geranium maculatum oil¹, lavandula angustifolia (lavender) oil, pogostemon cablin (patchouli) oil, rosmarinus officinalis (rosemary) leaf oil¹, calendula officinalis flower extract¹, chamomilla recutita (matricaria) flower extract¹, dioscorea villosa (wild yam) root extract¹, rosmarinus officinalis (rosemary) leaf extract¹, arginine, bisabolol, sodium citrate, sodium PCA, panthenol, tocopheryl acetate, guar hydroxypropyltrimonium chloride, alcohol¹, benzyl alcohol, potassium sorbate, sodium benzoate, coumarin, limonene, linalool. Consciousness In Cosmetics - Safe, natural, effective, pro-organic body care without synthetic fragrances, phthalates, parabens or sulfates. 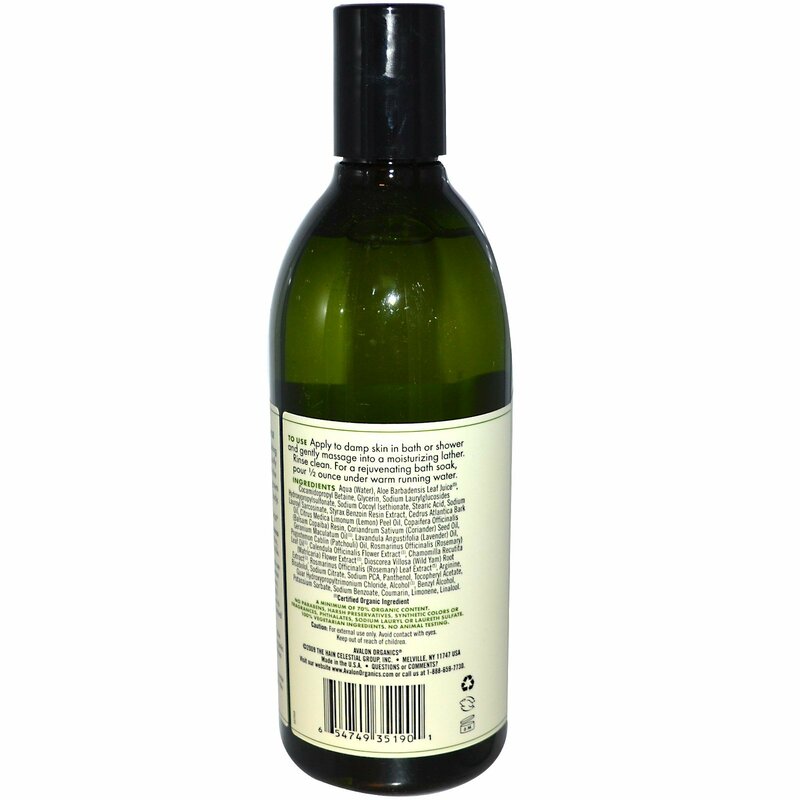 No parabens, harsh preservatives, synthetic colors or fragrances, phthalates, sodium lauryl or laureth sulfate. 100% vegetarian ingredients.